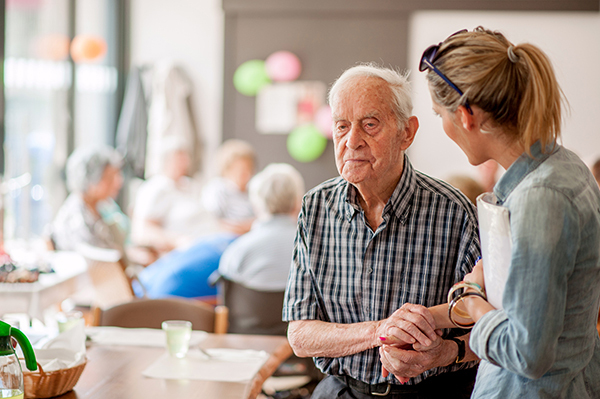 Care managers with training or education in the causes, risk factors, and stages of dementia, as well as available strategies and support, can be an invaluable resource to affected patients and their families. In most cases, dementia is progressive. Symptoms may be identified in the early stages, progressing from mild cognitive impairment to severe dementia. However, some older individuals may develop mild cognitive impairment, but never progress further or develop any other mental condition. Those with mild dementia will typically present with short-term memory loss, some personality changes and difficulty completing complex tasks or problem solving, but may be able to function independently. Case managers can assist families with finding short-term in-home care to check on loved ones or to provide assistance when family members are at work. Caregivers for loved ones with dementia are at greater risk for depression, so it is important for them to realize that they are not alone and that help is available. The speed at which an individual may progress to moderate dementia will depend on their diagnosis, as well as the support and medication they receive. This is a time when people need assistance because their impairment interferes with their ability to do daily tasks and activities. In some cases, care managers may be able to assist family members in keeping their loved one at home, providing in-home support and management of community resources. In the final stage—severe dementia—patients will experience mental and physical decline, including an inability to control their bodily functions, difficulty walking, and eventually inability to swallow. Patients may be reduced to an inability to communicate and will require full-time assistance. Some family members choose to keep their loved ones at home and will need consistent support and management of resources in order to accomplish this task. Other family members may choose a long-term healthcare residence home equipped to manage patients with severe dementia. Diseases of the brain, including Alzheimer’s and vascular dementia, are common causes of dementia. Vascular dementia is a group of conditions caused by a blockage or lack of blood flow to the brain. Lack of oxygen for even a short period can cause damage to the cells and sometimes results in vascular cognitive impairment, the second most common cause of dementia after Alzheimer’s disease. Several factors may affect the development of dementia. These include side effects of some medications, chronic alcoholism, or infections to the brain. In some instances, patients with metabolic disorders—such as hypothyroidism, vitamin B deficiency or kidney and liver disorders—may experience symptoms similar to dementia. In other cases, patients who suffer lead toxicity may demonstrate symptoms. When the underlying cause is treatable, the symptoms of dementia may be reversible. When the underlying cause is treatable, the symptoms of dementia may be reversible. Case managers must ensure patients have medical workup as soon as symptoms develop. 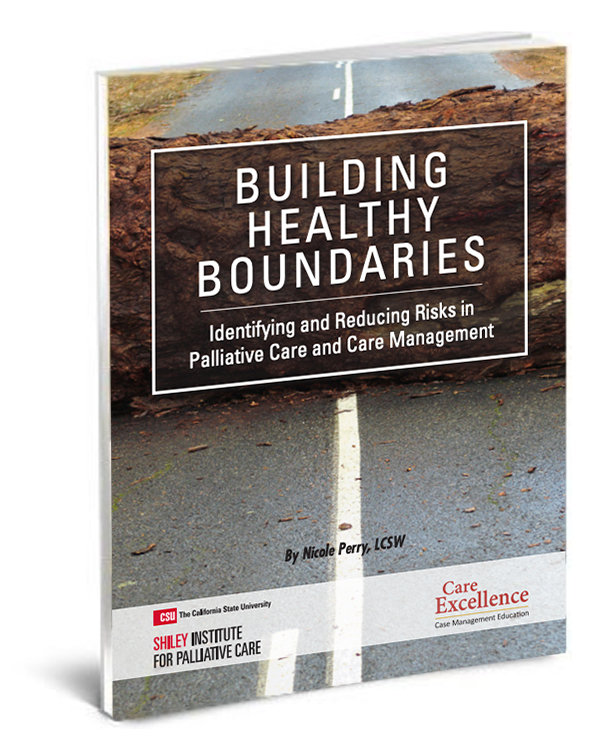 A physician can obtain a thorough medical history, careful physical examination, and laboratory tests, to look for underlying conditions such as lead toxicity or kidney disease that may account for dementia symptoms. Damage to the cardiovascular system can also deprive the brain of nutrients and oxygen, linked to vascular dementia. You can encourage your patients to protect their brain by following some of the same strategies that protect their heart, such as to stop smoking, maintain normal blood pressure and blood sugar, maintain a healthy weight and get adequate amounts of physical exercise. The World Health Organization (WHO) believes there were 47 million people suffering with dementia worldwide in 2015, which they expect to grow to 75 million in 2030. These numbers are higher than their original estimates reported in 2009. WHO believes improving health and reducing risk factors can limit the future scale of the epidemic. Effective case management can help families mitigate the psychological, emotional, and financial toll associated with dementia. In a study by Northwest Mutual Insurance Company, data revealed caregivers were spending more money on caring while preparing less for the financial change. The average expenses included $273 for medical supplies and $159 on food each month. Caregivers reported reducing their own expenses, but 48% had not planned financially for the additional expense. Impact of caring for someone with dementia is not only financial, as living with loved ones can affect the caregiver psychological and emotional health. Caregivers for loved ones with dementia are at greater risk for depression, so it is important for them to realize that they are not alone and that help is available. Case managers are in a unique position to meet the needs of the entire family by helping loved ones to plan for future financial responsibilities as family members age, setting up support systems for those currently caring for a loved one with dementia and recognizing the psychological and emotional toll caregiving takes on a family. For case management education that includes instruction on supporting clients or patients with dementia and other chronic conditions, see our Advanced Concepts Courses for Care Managers. Prince, M., Guerchet, M., Prina, M. (2015) The Epidemiology and Impact of Dementia; Current State and Future Trends World Health Organization.